The U.S. diet club’s shares plunged by a third after a flabby start to 2019, but celebrity shareholder Oprah Winfrey is riding to the rescue. Well she might – her investment in the company has already resulted in her more than quadrupling her money in three and a half years. 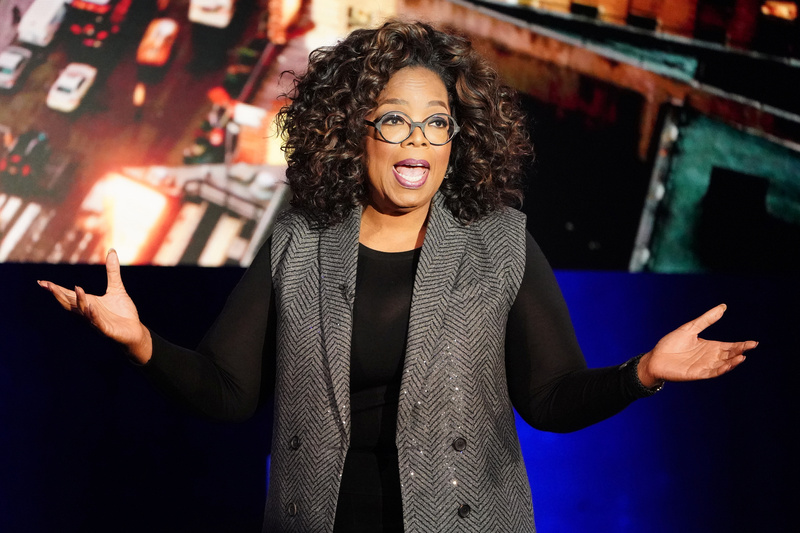 Oprah Winfrey talks on stage during a taping of her TV show in the Manhattan borough of New York City, New York, U.S., February 5, 2019. Weight Watchers shares fell 35 percent on Feb. 27 after the company reported a disappointing start to the year. The company, known for its diet plans, said it had not managed to recruit as many new members as it expected over the winter season. Media mogul Oprah Winfrey owns around 8 percent of Weight Watchers’ stock after buying shares in 2015 and taking a seat on the board. Winfrey will play a “central role” in the company’s upcoming marketing campaign, said Chief Executive Mindy Grossman. Weight Watchers estimated, in its statement on Feb. 26 after the market had closed, that revenue for 2019 would be around $1.4 billion. Analysts had on average been predicting $1.7 billion, according to I/B/E/S data from Refinitiv.